My passion is chewing gum and then blowing lots of big bubbles and popping them. I usually like to chew gum with packs of 3-5, that way I could blow lots of big, giant, ENORMOUS bubbles. My bubbles usually blows up on my nose so I always have to wash it. 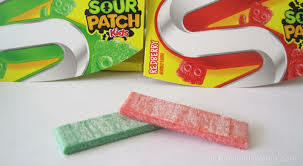 My favorite gum flavor is Sour Patch Watermelon. I always use my money on buying gum and other goodies like candy. Whenever i’m bored I always eat gum. Chewing gum while studying for a test is helpful because when it is time for the test, you chew the same gum flavor and you will almost completely memorize your answers when studying. Chewing gum makes me concentrate on the thing that I am doing.